If your organisation is trying to gain support for a cause, a gala dinner may be one of the best ways to reach your goal. 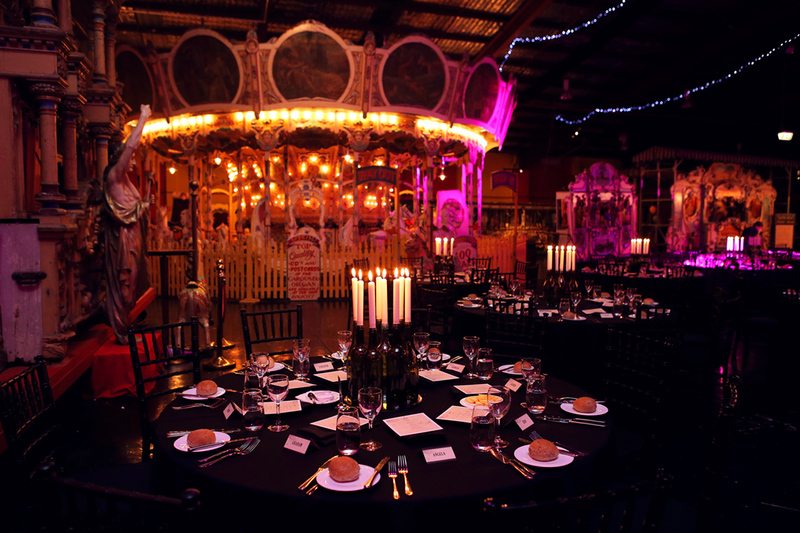 There is a lot that must go into hosting a successful gala, including time, organisation, and planning. If you have never hosted a gala before, you are probably wondering how to get started. Fortunately, by following a few simple tips, you can be well on your way to hosting the ultimate gala that leaves a lasting impression on your guests. What is your event's purpose? When you first get started organising your gala, you need to thoroughly define the event's purpose. This purpose should include everything from what you hope to achieve to how you will meet your goals. If you don't have a defined purpose for your event, then the way you plan the event will be extremely difficult. After all, it is your event's purpose that everything should be centered around. You may find that a lot of the items mentioned above can be donated but you need to make sure you have enough money to cover them in the event that donations do not come through. Are you going to fundraise? Many galas are used for fundraising. If your gala is going to be used for this purpose, you will want to find other fundraising tactics to incorporate into the gala itself. For example, sure your gala may help fundraise on a per plate basis, but you can also sell raffle tickets, have a live or silent auction, sell sponsorships, and more. 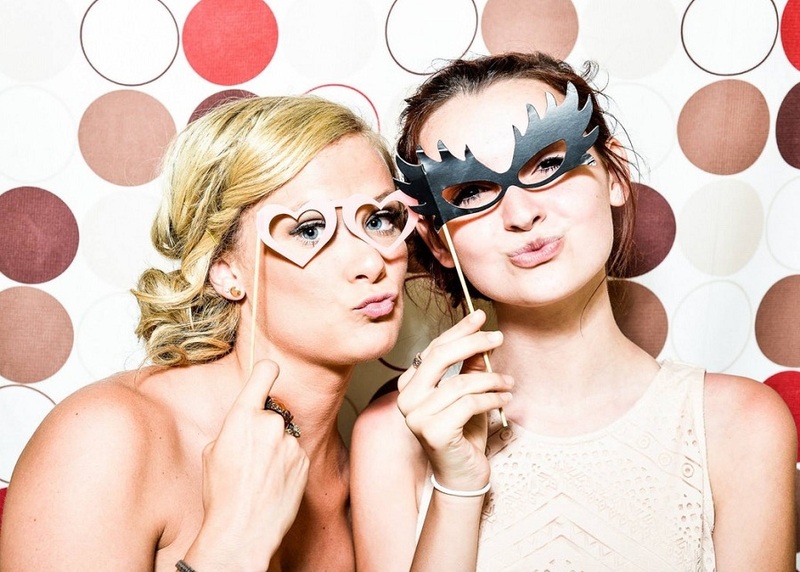 No matter the type of fundraising that you want to incorporate, make sure they are relevant to your gala's theme. For example, if you want to sell raffle tickets for a gala themed around animal safety, then the raffles should be for items such as pet supplies. Ideally, you will want to choose your theme when you define the purpose for your gala. Now, you will want to pick a venue. 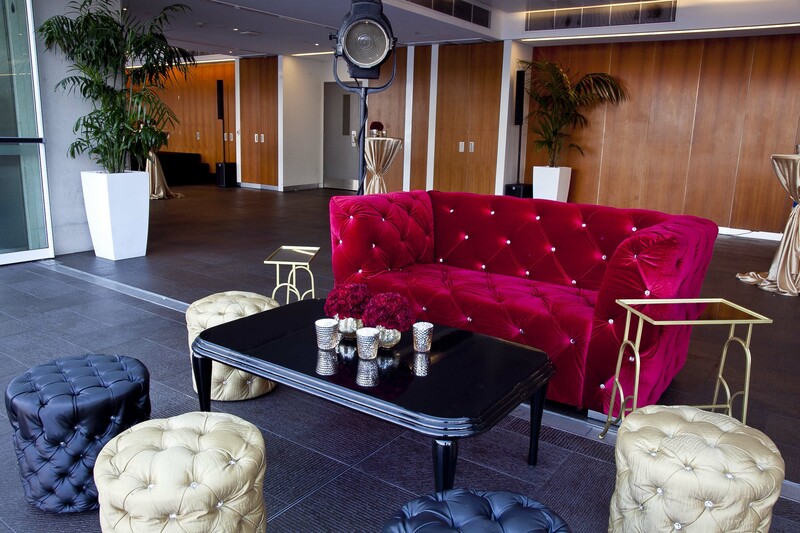 The most important aspect to look for in any venue is that it allows your guests to socialise and network. 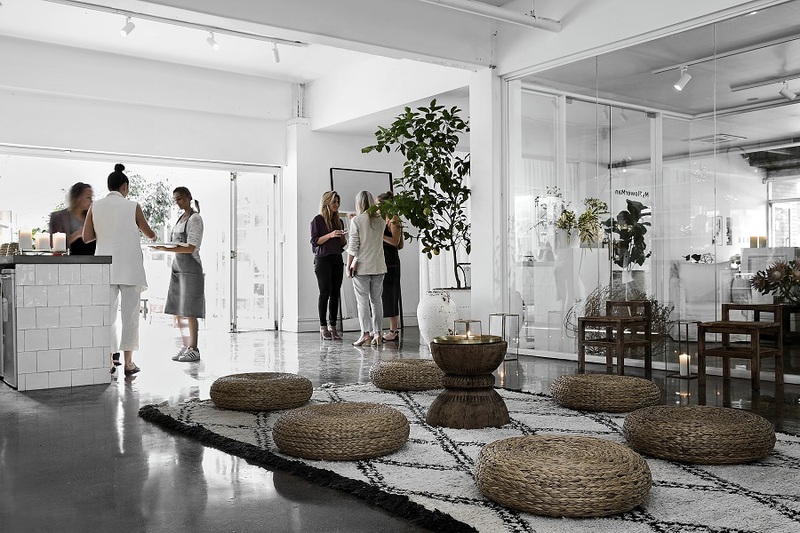 An inviting atmosphere is, of course, important, but an impressive one is even more pertinent because it gets everyone in a good mood and promotes an environment of friendliness and joy. The theme and venue that you opt for will set the entire tone for the event, so make sure you choose wisely. 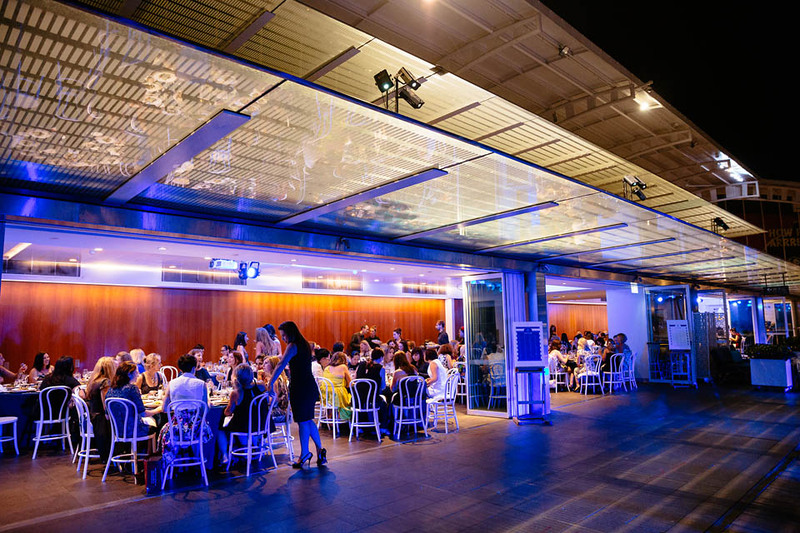 Laissez-faire has several venue options to choose from, with the three of the most popular being the Australian National Maritime Museum, Harbour 220, and The Venue Alexandria. The Australian National Maritime Museum provides breathtaking views of the Darling Harbour and gives you and your guests inspiring glimpses of the city skyline. 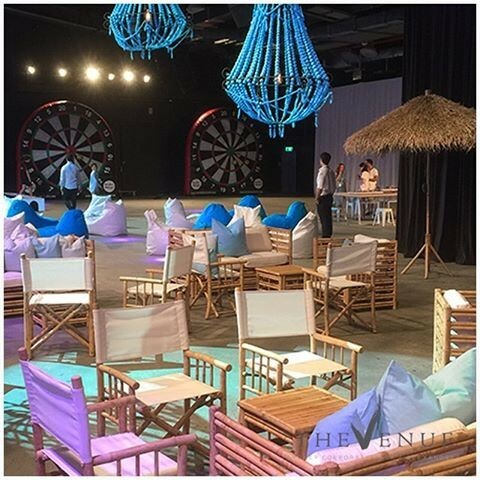 The Venue Alexandria is another unique venue that features a large warehouse space and provides lots of 5-star amenities. If you're wanting to host an exclusive and intimate gala, Harbour 220 is your best venue option. When it comes to audiovisual, you need not only the right equipment but the right support as well. The ultimate goal should be to provide your gala guests with a magical experience, and with the right AV support, you can accomplish this goal. Your AV support is also of the utmost importance because they will be involved in setting up various gala activities and entertainment, including dance floors and more. 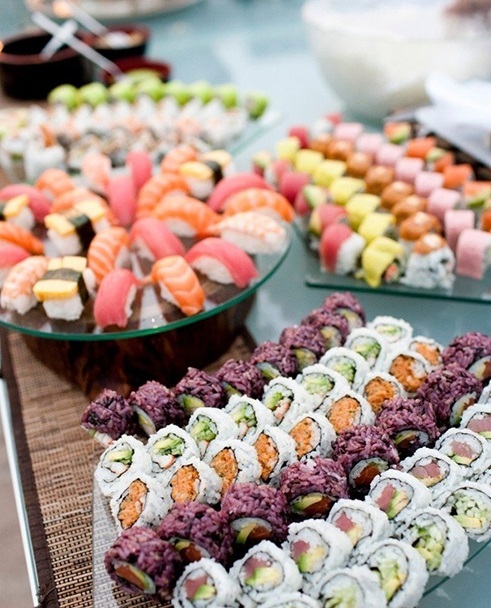 Lastly, your gala will never be complete unless you choose the right food and beverage option. Fortunately, you will have several menu options to choose from. From a tailored platter to a plated menu, the theme and purpose of your gala will help determine which menu is best for your event. 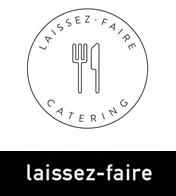 Contact Laissez-faire today to learn more about venue and menu options. 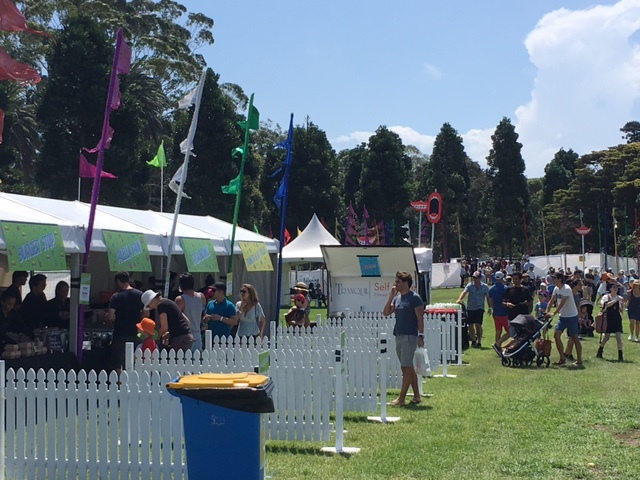 We recently had the exciting and monumental challenge of hosting a corporate family day at Centennial Parklands, the logistical planning of organising an event for over 4000 guests proved that we stand behind our quality and consistency of our product, our clients gave us glowing reviews and the abundance, quality and sheer variety of food ensured that EVERY single guest left our event absolutely satiated. Imagine if you can, a carnival style atmosphere with themed stations providing international flavours and delicious morsels to taste. We cleverly positioned a variety of ten different food stations covering a multitude of cuisines. 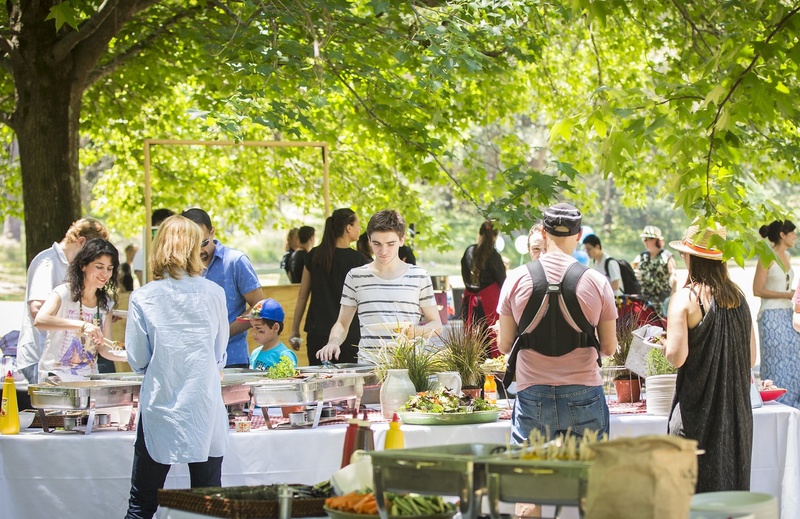 Our street style Barcelona paella bars were a smash, with both a traditional Catalan Paella that had the crowd’s tummies rumbling as we started the sofrito to ensure an authentic and delicious dish, alongside a more Valencia “beach” style vegetable paella. We spent days preparing the fresh artichokes and the product was absolutely mouth-watering. Complimenting the Spanish cuisine, we also had traditional Napoli style pizza bars, producing crisp based, piping hot pizzas with fresh mozzarella and a simple selection of truly classic favourites. Clearly the new trend in food and making a huge hit at our events, we have harnessed the Ottolenghi bug and gone all Tripoli with our Lebanese bars, fresh pitta, piping hot, homemade falafels, lamb kofta, hummus, tabouli and yoghurt dips. We dressed the tables with beautiful glazed earthenware, luscious pomegranates and lemons on the branch, which we felt really tied the station together, it smelt great and looked chic! And if we couldn’t make it any more Moorish… we finished the event with Spanish style donuts. Try conjuring up a selection of vanilla glazed, salted chocolate chip cookie, caramel popcorn, Malteser and the time honoured “Nutella" and then try saying NO... Couldn’t do it right??? 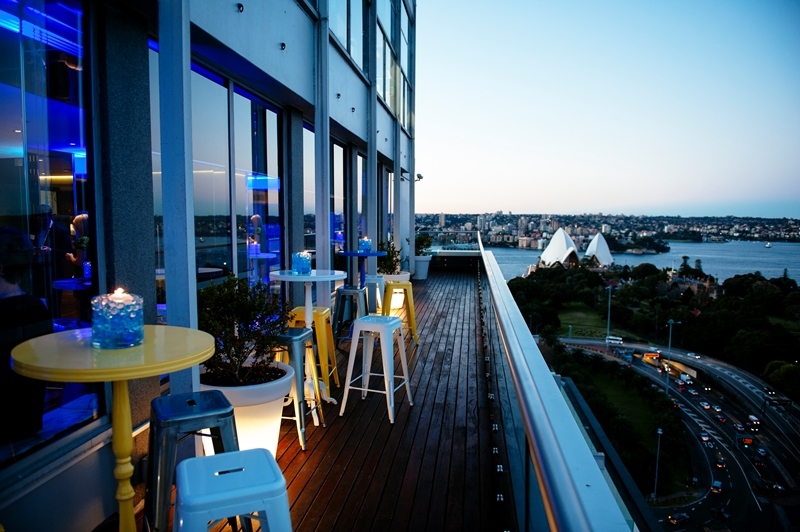 We know that you're all looking for the next big thing, the newest venue, the hottest place to socialise and communicate your brand message in our urban jungle, our beautiful Sydney. 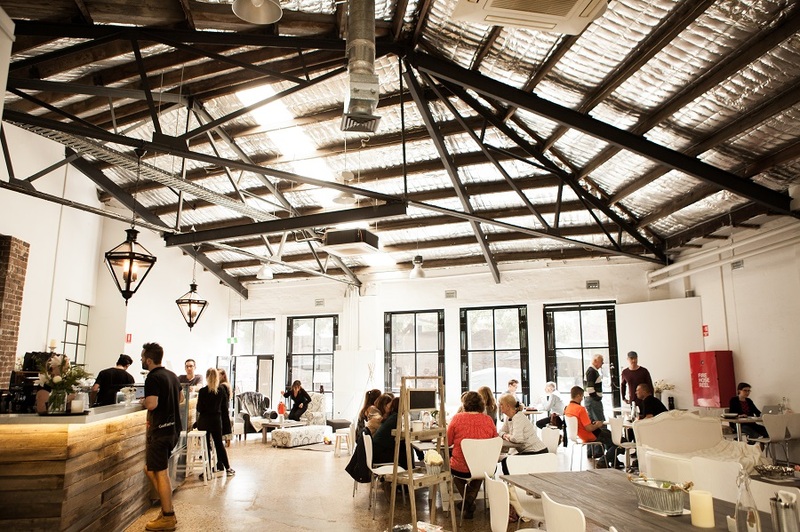 Well we’re happy to make a new introduction; The Venue should be on your radar. It's hip, it's big, it's new and it’s a hop, skip and a jump from the CBD. We also thought you would appreciate an update and refresh of the Chinese Gardens. 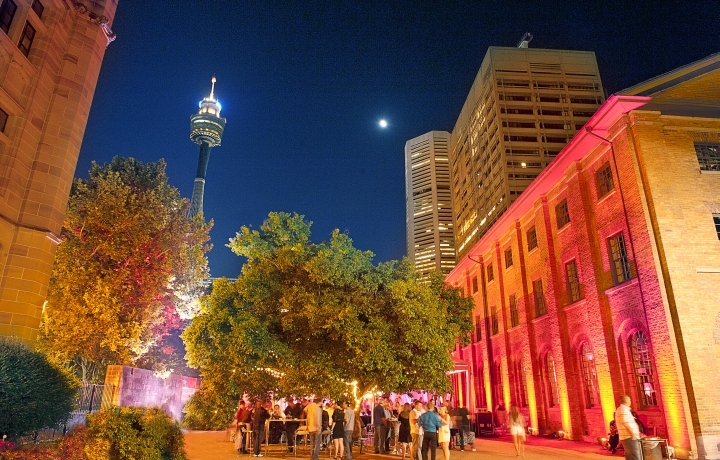 Now that the ICC SYDNEY has opened and construction down this end of town is done and dusted (well for the next 5 minutes at least) we wanted to ensure this private garden paradise is back in your event destination thought process. 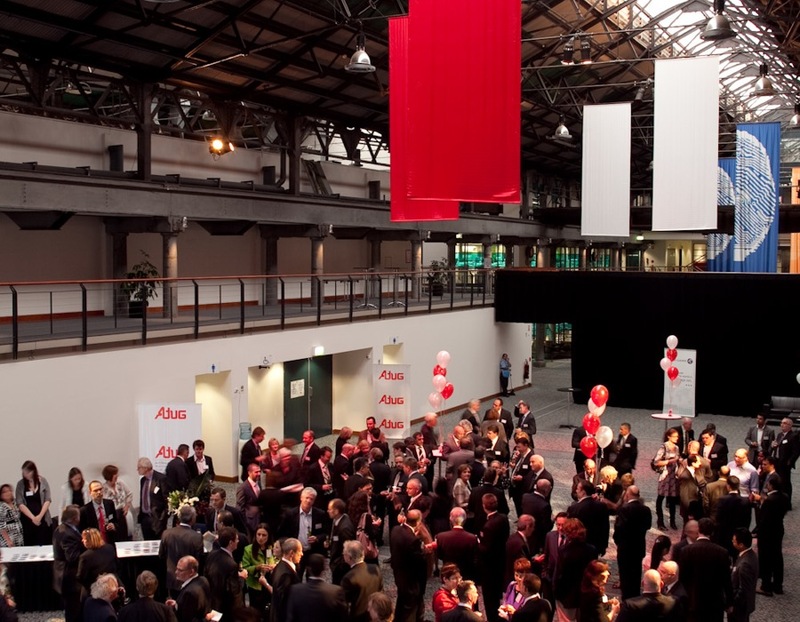 Located conveniently between Sydney’s International Airport and the CBD, we offer clients a large, flexible warehouse space with 5 star amenities catering to a wide variety of events including gala dinners, product launches, fashion parades, conferences, corporate functions, weddings and community events. 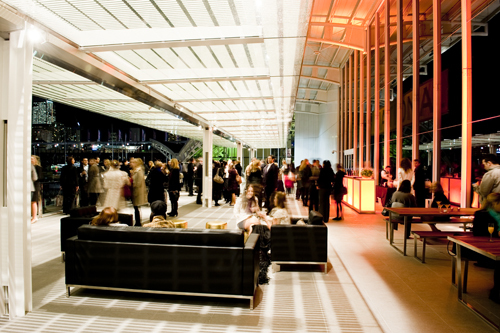 With a capacity of 1,000 guests for a dinner, cocktail style or conferencing, flexibility is the key to our space. 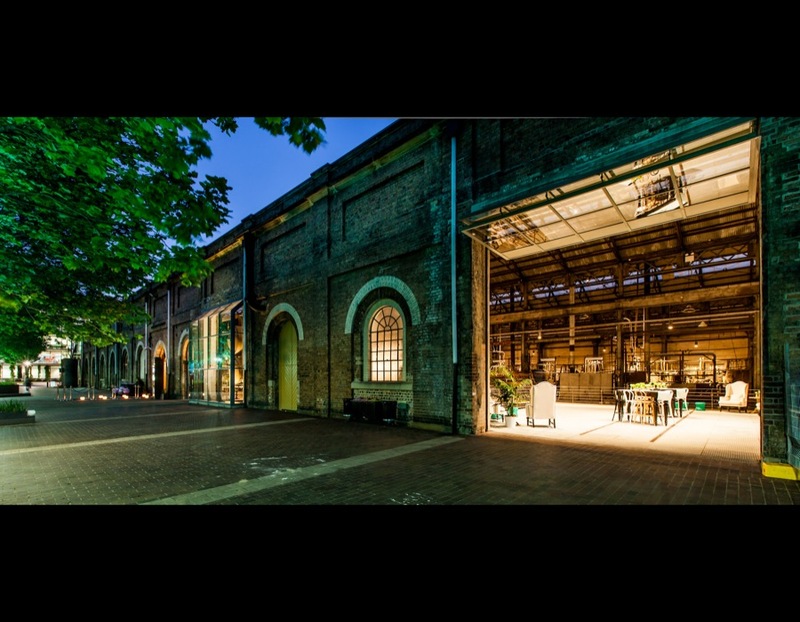 We will offer a unique opportunity to dress the interior to create your own event with the industrial warehouse look. 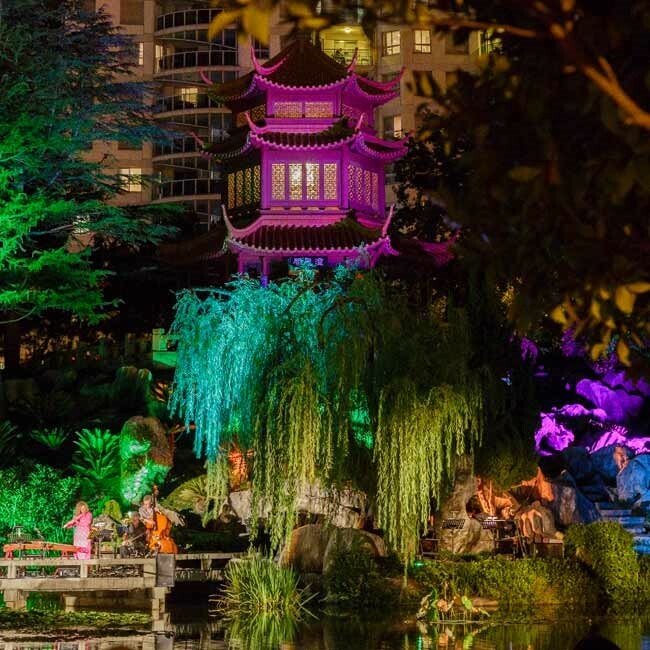 Nestled in the heart of Darling Harbour, the Chinese Garden of Friendship offers a slice of traditional China in the heart of Sydney. 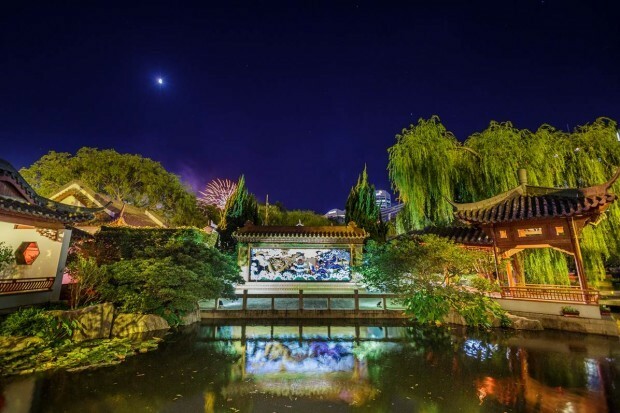 Modelled after the lavish private gardens of the Ming Dynasty, which ruled China from the 14th to the 17th century, the Chinese Gardens where built to celebrate the friendship between Australia and China. 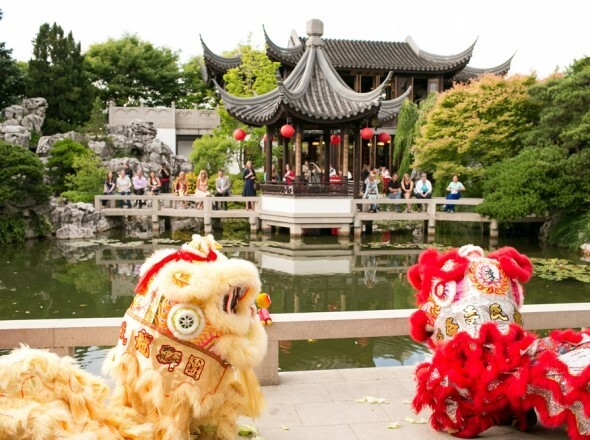 Renowned as one of the best Chinese gardens in the world outside of China they have become a popular destination for weddings and celebrations. The landscape of the gardens is stunning. The garden was designed with traditional Taoist beliefs that stress the importance of infusing Qi, the essential force of life and energy into the garden. In order to achieve Qi, every plant is hand-picked and the landscape is intricately designed to reflect aspects of nature and harmony. Guests can wonder the hidden stone paths and explore waterfalls, lakes and Chinese flora. Scattered throughout are garden pagodas and a large teahouse providing a truly unique and unforgettable event destination. 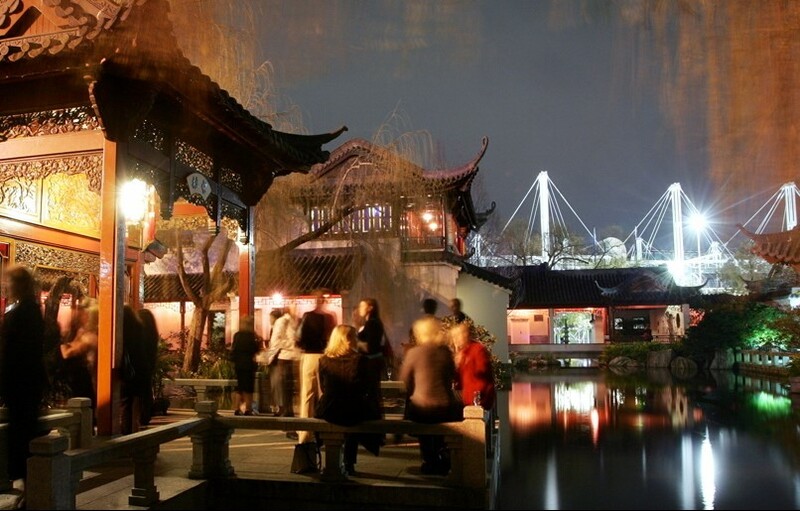 As one of Laissez-faire Catering's favourite venues, the Chinese Gardens provide the ultimate backdrop for a wide range of events. A product launch is a great marketing move for any business wanting to get their new product out there and create interest. Take for example the buzz that big companies like Apple and Samsung create for their product launches. They’re huge, classy and cool events that can rake in millions of dollars. This is because they know how to launch a product and they already have an established name in their industry. How about small, medium and large businesses devoid of the apple logo? How do you strategise, create excitement, attract audience and generate awe during your product launch? It’s as simple as highlighting the day and the event together with the product. It’s about creating one event that can create impact offline and online. How? Generating brand awareness across platforms and channels is a must for any corporation or business planning to launch a new product. This means posting on social media, hinting at what is in store for the future. Get your audience talking about you. To increase your odds of getting noticed, let’s focus on the planning of the day itself - the venue, the food and the atmosphere. This should all be planned before you start talking about the product launch on social media or in email newsletters. 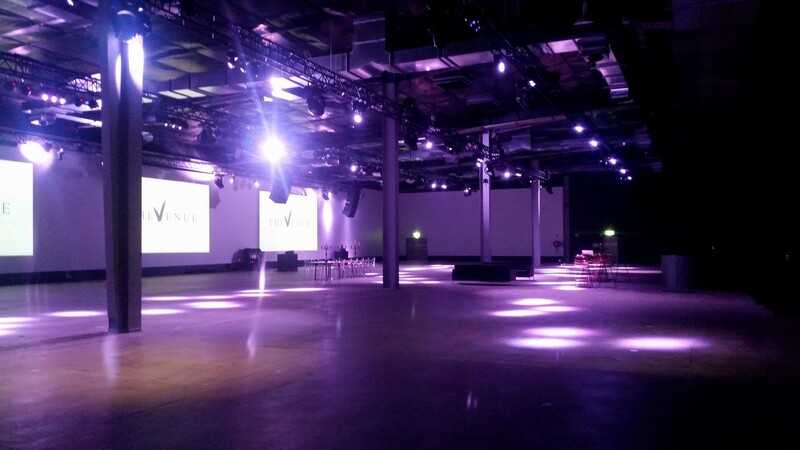 The event venue can make or break the atmosphere you want to create for your product launch. While many product launch events would suit an on-site atmosphere (in the company office or business place), holding an off-site event can add a sense of gravitas and more people are likely to be interested in attending if it isn’t being held at their regular 9 to 5 office. Venues create impact. Choose one that can fit your ideal number of guests and consider one which will complement your brand’s goal. 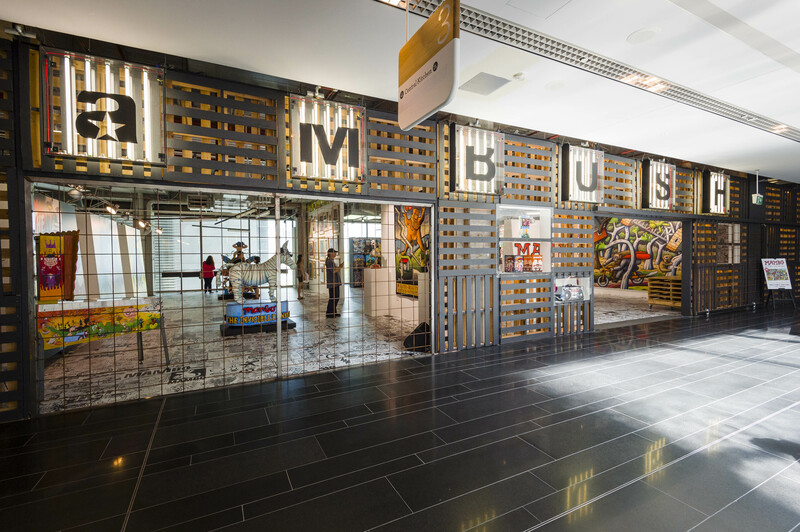 Here’s two of our top recommendations for product launches: Cell Block Theatre at the National Art School and Harbour 220. The cathedral-like space of this venue is amazing and hard to find elsewhere. It’s historical and interesting. The venue also has an entertaining space outside, so your guests don’t have to be confined to the interior when it’s time to mingle and look around. Accommodating up to 350 for a cocktail event inside and an additional 400 for the courtyard, this venue is perfect for memorable product launches. Find more information about Cell Block Theatre here. 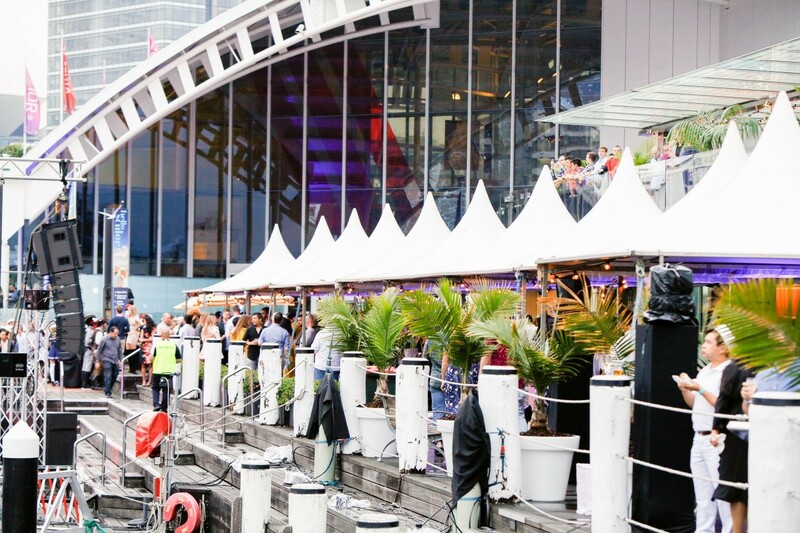 Harbour 220 on the other hand is an exclusive venue that suits a highly sophisticated atmosphere. 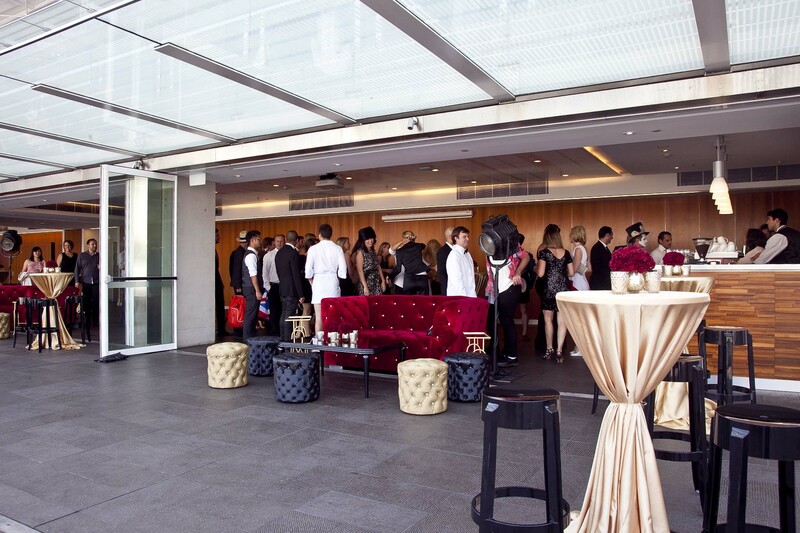 This venue boasts impressive view and is well suited for an elegant product launch. It can be a venue for cocktails or even sit down dinners for up to 100 guests. Find more information about Harbour 220 here. Remember, these are just two gorgeous venues you can choose from. 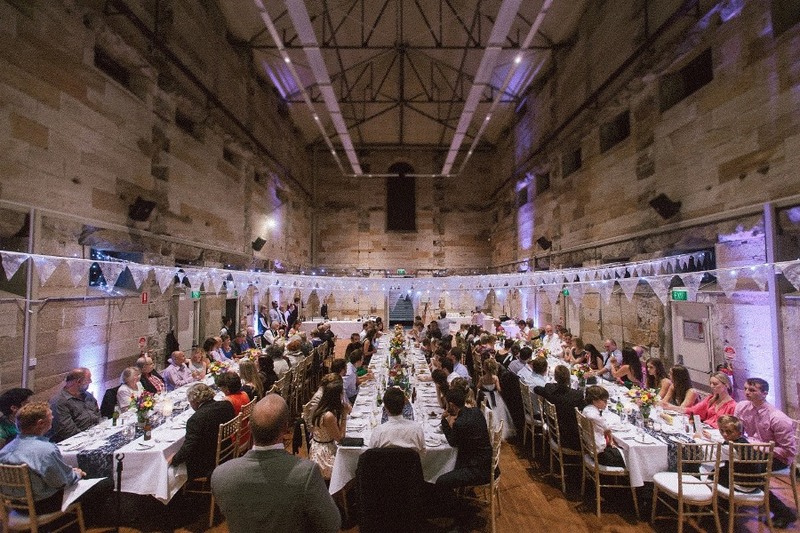 For other recommendations go to our list of stunning and functional venues here. The dilemma with product launches is that cocktail and sit down dinner events both work. It all depends on what kind of atmosphere you are going for. A cocktail product launch encourages more socialisation and can feel more casual than a sit down dinner. After all, you need guests to move about and talk about your product right? You can come up with an impressive cocktail menu by asking your caterers for recommendation. 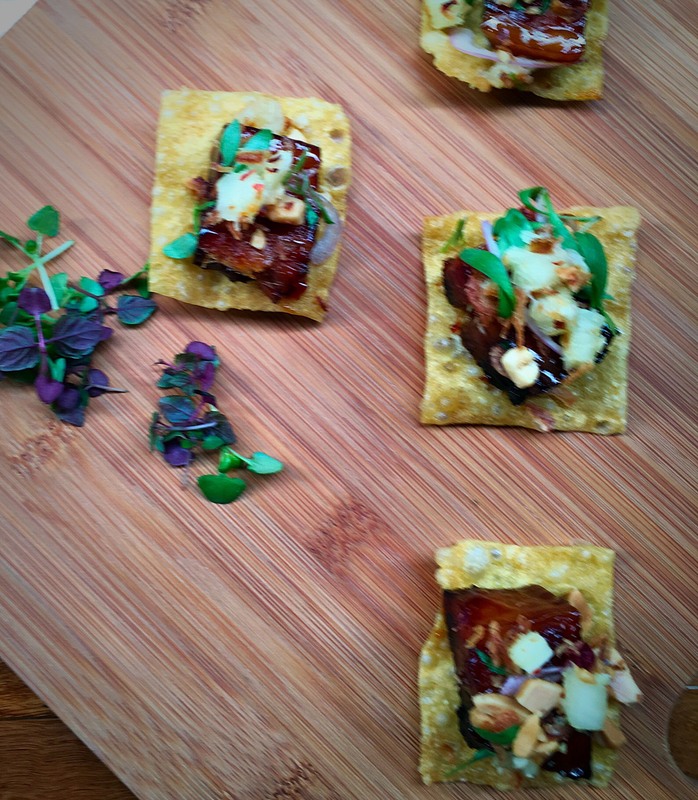 Pairing drinks with delicious hors d'oeuvres will keep guests interested throughout the event. 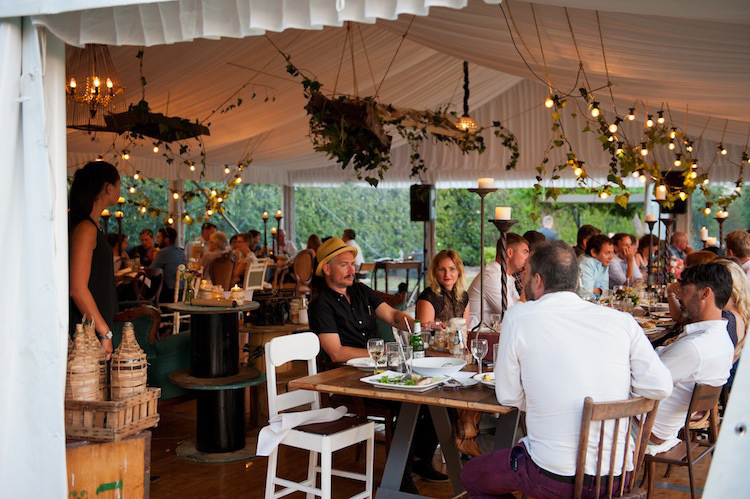 A sit down dinner product launch can feel more refined, and this means the event must have great food whether it’s platters or a three course meal. Your product demonstration or announcement might come in between meals, and there should be a signature drink you and your caterer have chosen for the event to compliment the meal. Create the right atmosphere with a theme. If your product launch is for a new tech gadget or software, use cool blue lighting and matching minimalist decor. If your product launch is for a new series of fashion items, play popular music and make sure the venue is bright enough to show off your product. Most importantly, accommodate your guests like royalty and they’ll never forget your product launch. To create a cutting-edge End of Year Celebration with the WOW factor. 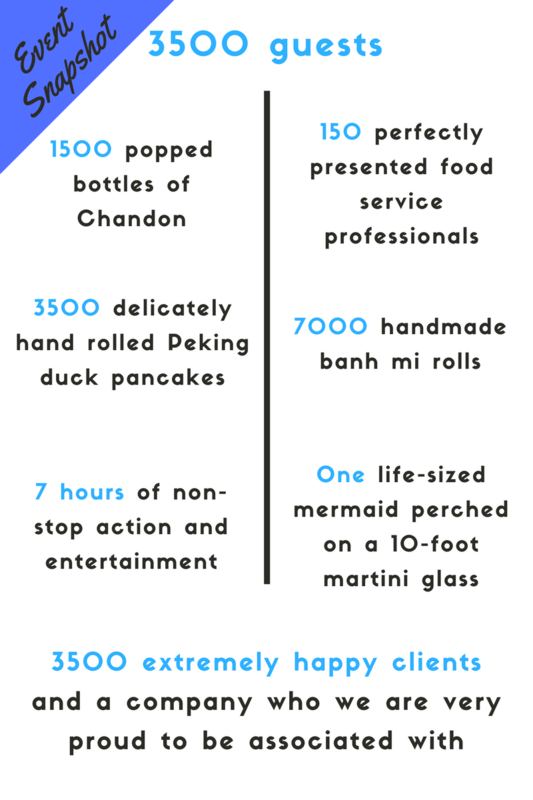 Our job was to ensure the entire experience was a fresh, upbeat and memorable cocktail party for every one of the 3500 people on the guest list. The event was also designed to be management’s opportunity to express gratitude for the dedication shown by the staff throughout the year. 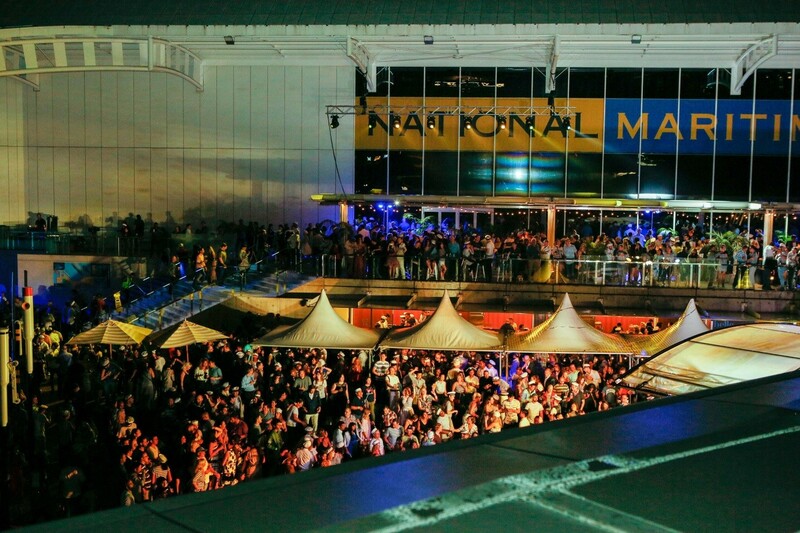 The Australian National Maritime Museum was transformed into a multi-zoned entertainment hub, with a central stage and performances on HMAS Vampire and HMAS Onslow. With something for everyone, guests were provided with opportunities to mingle amongst their friends and colleagues and celebrate the end of a busy year. 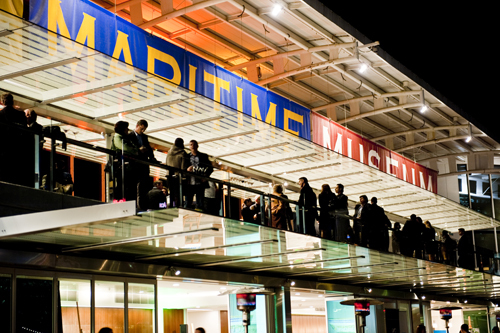 For more information on The Australian National Maritime Museum, click here. Creating a positive work environment, thanking key sponsors, and bringing together customers are all very good reasons to host a catered event in-store. Retailers can easily and effectively create a catered event that makes people feel appreciated and thankful to be in business with you. 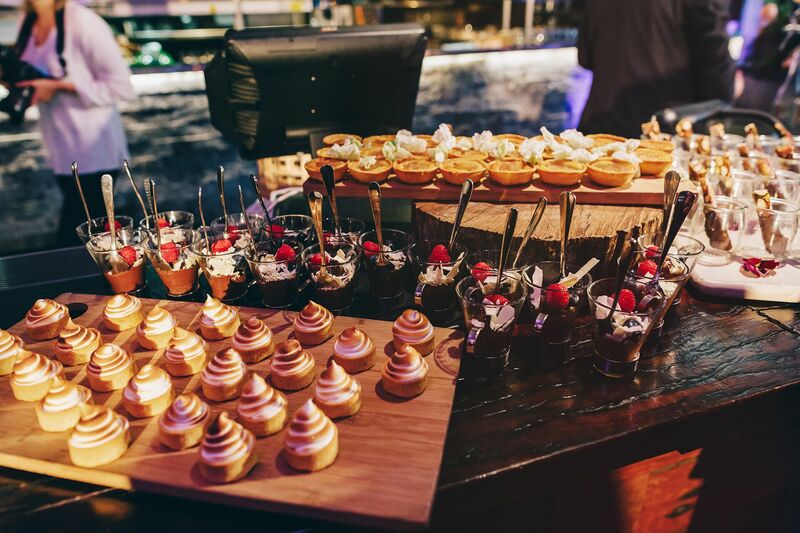 When choosing a catering company and planning the event, there are a few simple things you can do to ensure it is a true success. Once you have an idea of what your goals are, you can create a menu and catered event around it. Every element of your event should convey your very specific message. For example, to boost employee morale after a long day, a menu of fun foods can inspire and show appreciation. If you wish to reward key players, creating a luxurious sit-down meal with fine dining may be more appropriate. A catering company will work closely with you to create a menu appropriate for your guests and goals. Set a budget first. Plan your menu around your budget. Offer foods most people will appreciate. While you do not have to cater to everyone’s tastes, you should offer options that fit most people’s ways of eating (vegetarian, vegan) and allergen concerns. Offer alcoholic beverages if appropriate. Additionally, ensure visitors have access to transport to find their way home without concern after alcoholic consumption. Consider a VIP pre-event. This event can offer specific individuals more attention and recognise their efforts with a select menu. Presentation matters. Creating an elaborate, well-organised event with beautifully decorated tables, carefully placed napkins and fine china can really impress those in attendance to a formal event. Add a “wow” factor. This may include a signature drink, a special dish to honour your guests or a company logo added to decorations. Offer something unexpected whenever possible. 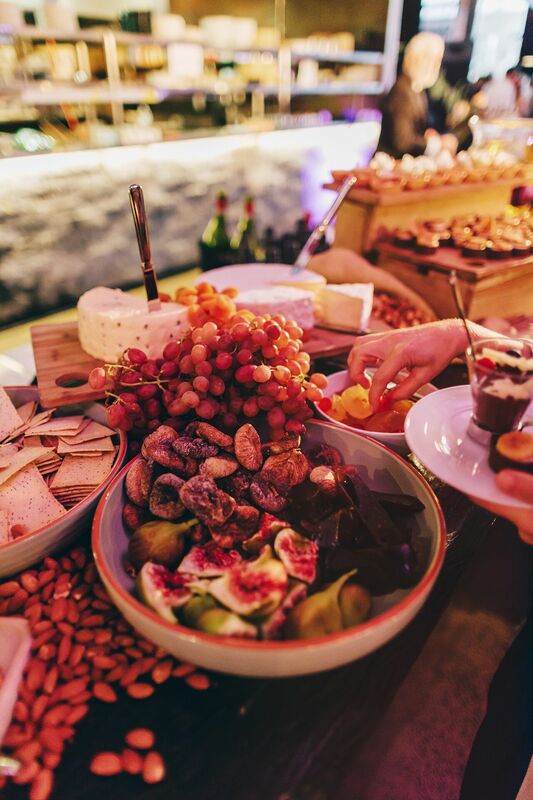 Work with your catering company, for example, to create a menu with fun foods your guests may not normally get or create an “energy station” with a table full of candy and childhood favourites. When selecting a catering company for such events, pay attention to their suggestions for your special evening or corporate luncheon. Whether you plan to host an in-store promotion or simply a team building exercise for your staff, you’ll want to ensure the catering company has the tools, resources, and the creativity to make this event truly unique and memorable for all who are in attendance. 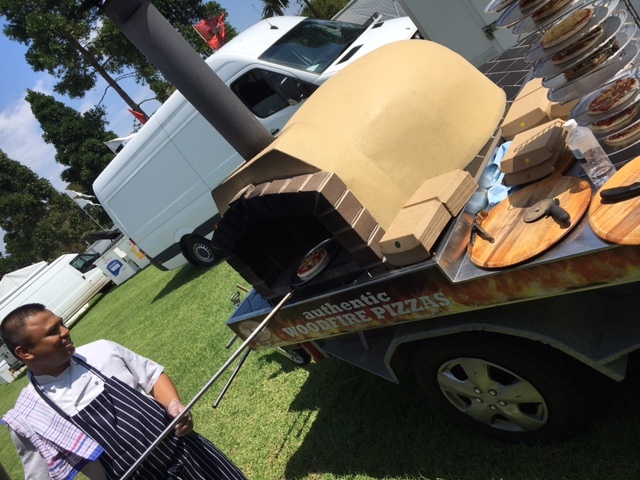 Corporate Events: Not Another Boring Work Lunch! In this guest post, Kim Jones talks about working lunches and how catering can be used to help focus on outcomes. Free meal! Saves your team buying their own lunches! But beware that working lunches have been done to death and bad catering experiences can completely undermine the purpose of a working lunch. realise that their food etiquette is under scrutiny by their boss and are incredibly embarrassed. As mentioned in a previous blog, life, if you didn’t realise, revolves around food! There is an art to weaving emotions into the preparation even a simple meal. Add food that is interesting and healthy that hits the spot! Give yourself plenty of time to find the right service provider who can deliver the right catering to your working lunch. Have the catering set up to the side before the meeting. Start your meeting with hot drinks. Research shows that people are more likely to pay attention and be comfortable after a hot drink. Very little in life can’t be improved by putting the kettle on. How about a well-deserved office coffee outing to one of our favourite cafes at the Australian National Maritime Museum on the Harbour or the beautiful State Library NSW? Don’t burn your lips! Sitting down with a hot drink with your working lunch, while talking a project through, slows the pace of discussion. It takes longer to drink hot drink. As you sip, it gives you time to listen to others or talk to the people you’re with about the program. Make your working lunch work! So make your working lunch deliver your project outcomes by adding food that works. There’s a lot to do and partnering with the right service provider will make the lunch simple and successful. Kim Jones is a non executive director on private company, government and not-for-profit boards. Kim is also a management consultant, with more than 30 years experience with roles including superannuation trustee, investor relations and communications specialist with ASX100 institutional fund managers and financial services companies. The earlier part of her career was spent as a marine scientist, high school teacher as well as promoting new technology at the University of New South Wales. Kim holds a Bachelor of Science (Honours) degree from the University of Sydney, a Graduate Diploma of Education, and is a Graduate of the Australian Institute of Company Directors (GAICD). 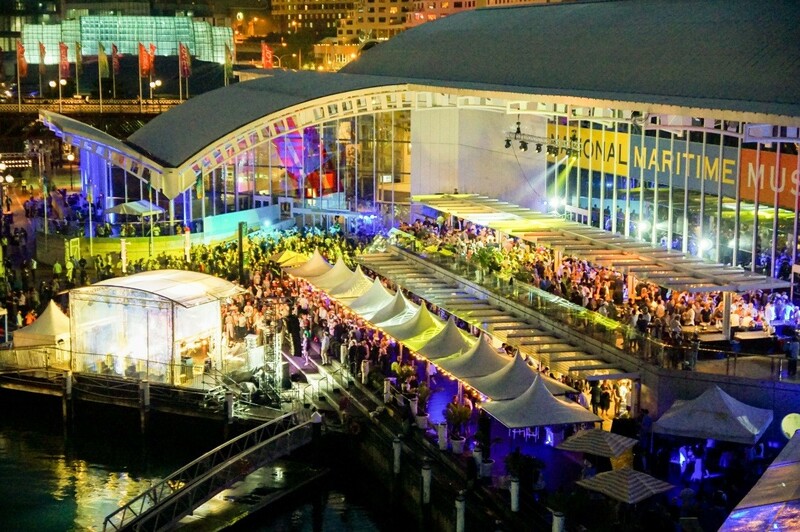 One of Sydney's most popular venues, the Australian National Maritime Museum, recently underwent a refurbishment. 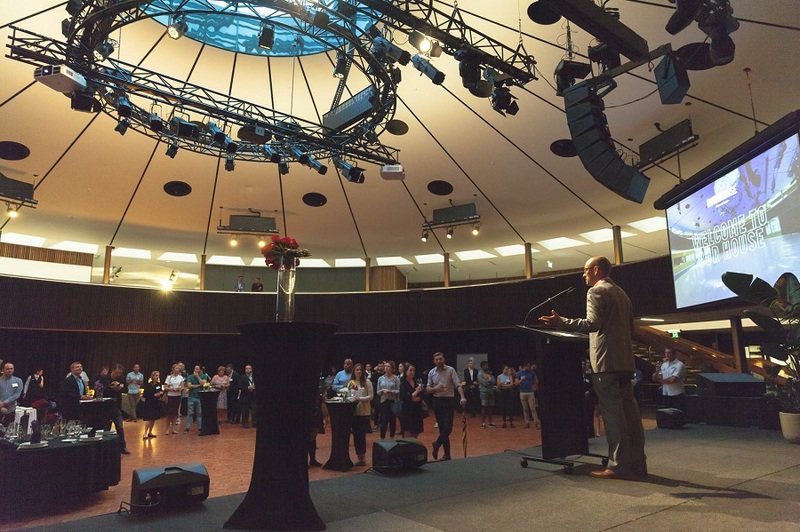 The upgrade brings The Conference Centre, a versatile series of spaces with jaw-dropping harbour views and features that make this new venue perfect for corporate events. 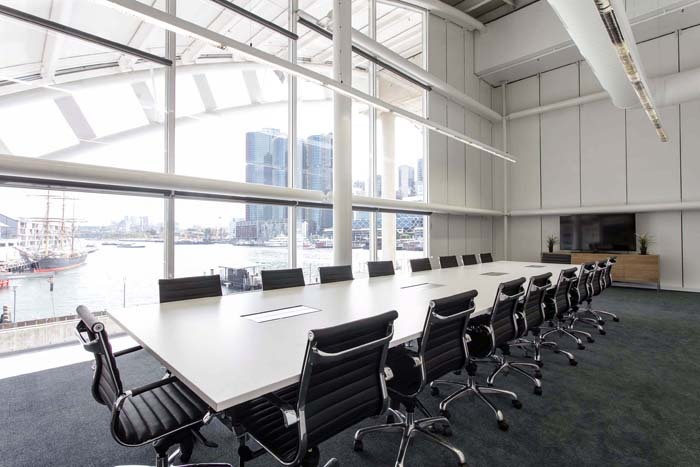 The Conference Centre, opening in November this year, features a dedicated entrance, 13-metre-tall glazing and an entertainment terrace looking over Pyrmont Bay toward Barangaroo. The venue features the capacity for up to 120 guests for day conferences or up to 200 guests for cocktail events. The available spaces make this new venue perfect for conferences, day-long meetings, evening events and corporate off-site meetings. An audio-visual suite is also available for use. Laissez-faire's award-winning menus are presented in the specially-designed servery. If that's not enough, The Conference Centre is also home to the Wal Gentle Boardroom. 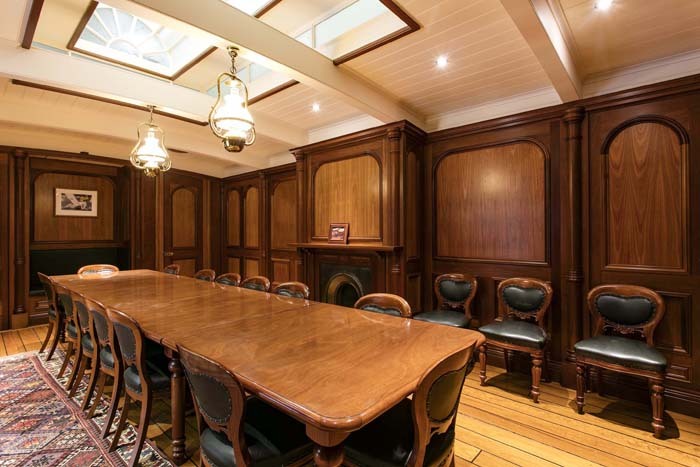 This solid timber boardroom is in keeping with the museum's maritime heritage mission. The Boardroom offers an elegant contrast to the rest of the venue spaces. 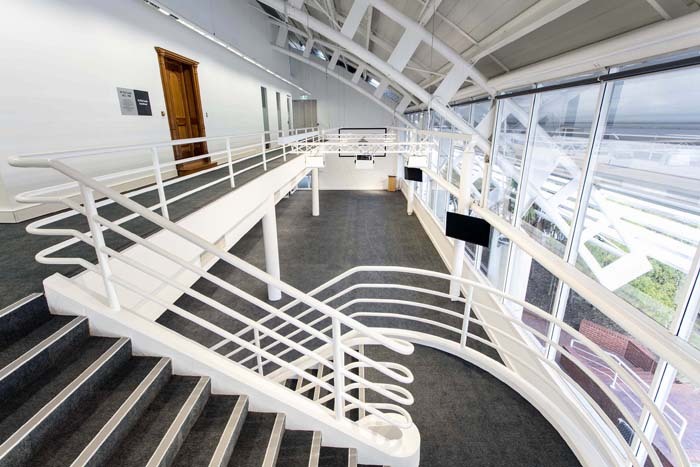 The Conference Centre is a new and exciting venue for event organisers to experience and for guests to enjoy. 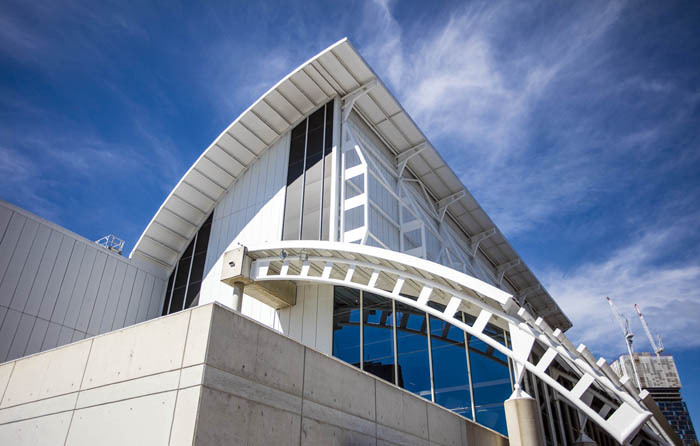 If you'd like to know more about The Conference Centre at the Australian National Maritime Museum, contact us. 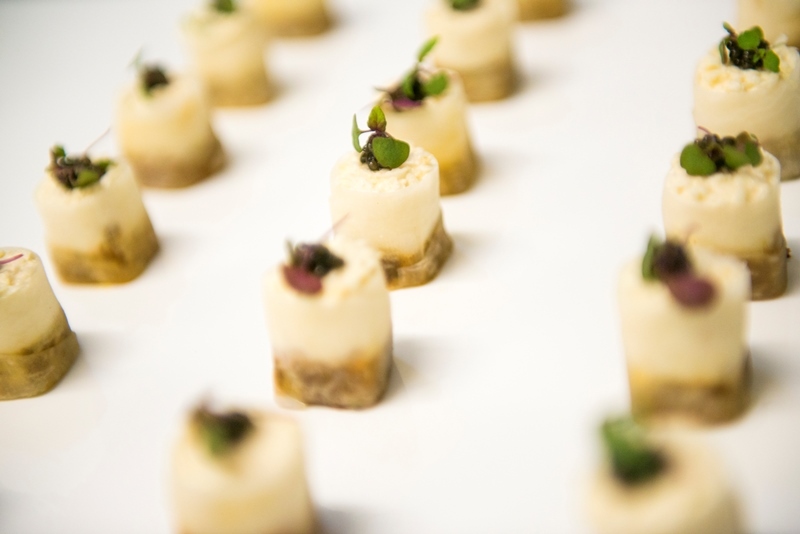 You might also be interested in our canape and conference menus. As the last month of the year rolls around, it's time to celebrate your employees' accomplishments and reign in the new year. With a little research and creativity, you can plan a party that will be talked about for years to come. Here are some theme ideas that can turn your next corporate Christmas party into a blast rather than an obligation. 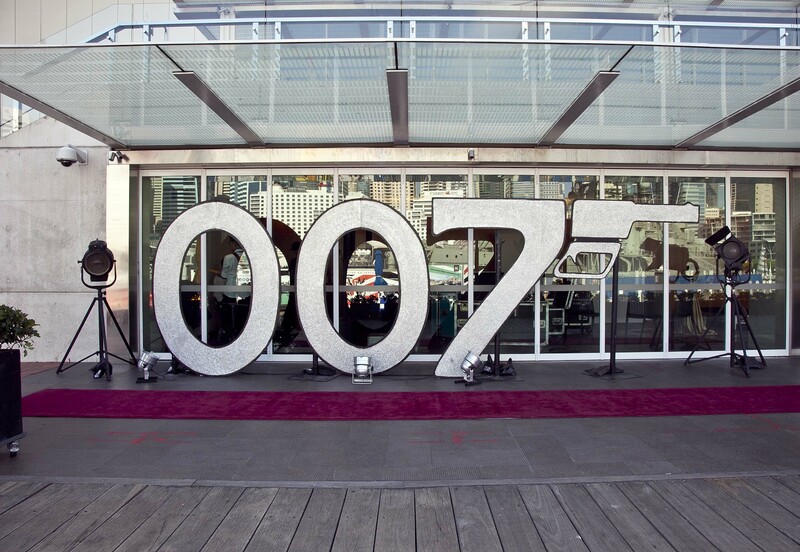 A 007 themed Christmas party is the ultimate mixture of cool and class and will guarantee a great time for all employees. Imagine a swish city venue, cocktails aplenty, black ties and glamorous dresses. 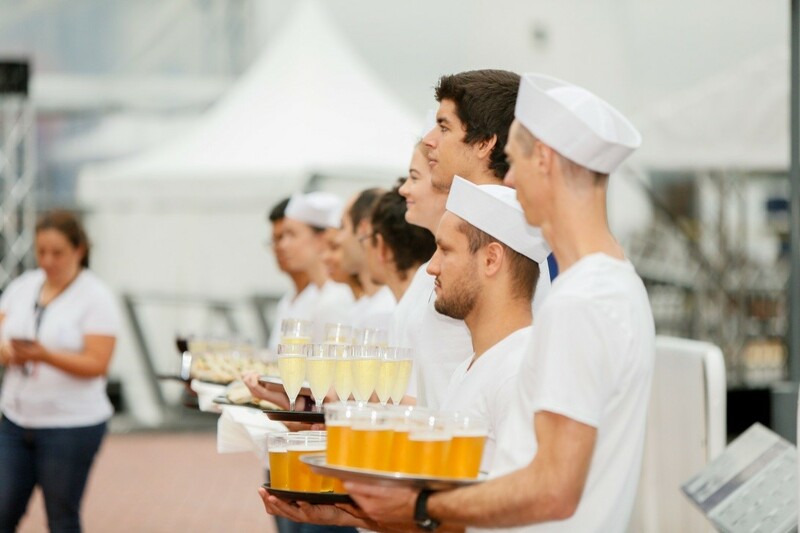 We catered an event just like this at the YOTS cafe at the Australian National Maritime Museum. Check out some photos below! 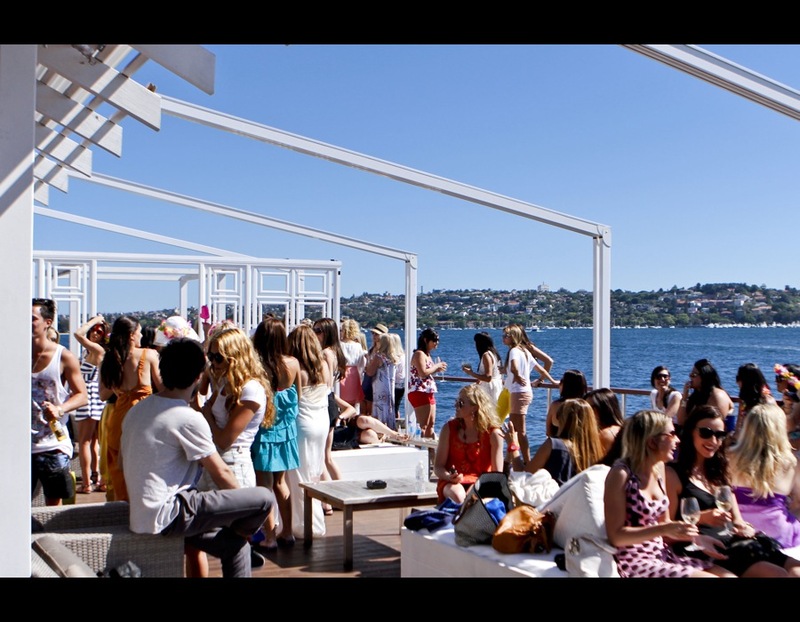 We Aussies know how to turn the tables on a white Christmas, so let's embrace a summer-themed corporate extravaganza. Substitute the traditional Christmas tree with a palm tree, set up tables with umbrellas, make sure beach balls are aplenty, and bring your best pair of shades. Hot dogs, hamburgers, barbecue, corn on the cob, and potato salad will bring summer's warmth to your party. Don't forget to play Vacation by the Go-Go's and California Girls by the Beach Boys. Bring the joy and magic of a winter wonderland to your corporate party with white and winter-themed decorations. White chairs, tablecloths, ornaments, angels, snowflakes, and snowmen will liven spirits and set the holiday mood. Artificial white Christmas trees can mimic a snow-covered forest, and accents of silver can create the sparkle of snow glistening in the light. Have your guests wear white attire to complete the scene. Light-colored foods such as eggnog work best for this theme, though all types of cuisine are welcome. Just tread carefully around dark-colored sauces and drinks, which can stain white clothing. Celebrate the diversity of your employees with an internationally themed holiday blowout. Of course, food will be the star of this show. Have your employees bring their own traditional dish, or set up food stations featuring different cultural cuisines. For example, you might have a Japanese station with sushi and onigiri, an Italian station with lasagna and pasta, and a French station with crepes and pastries. With so many different cultures, you'll want a spacious venue to accommodate the decorations. Check with your employees first to make sure the decorations are tasteful and genuine. If you have the budget, you can also hire cultural performers to make your party a true hit. Nothing says fun like a circus! 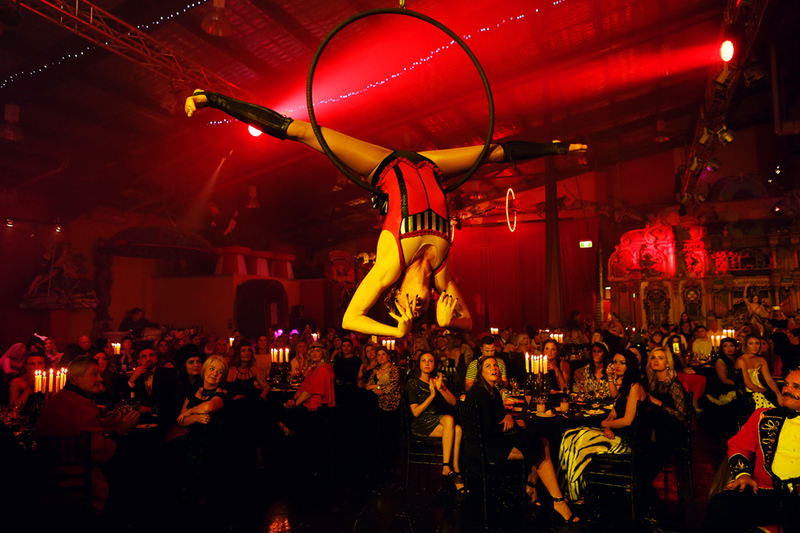 Invite the office to a night out at a spectacular venue to watch contortionists, fire-breathers and other circus performers while they sip on refreshments and enjoy canapes. We catered an event just like this at Fairground Follies . Fairground Follies, located at the Antique Mechanical Music Museum, features a most exciting and unique collection of fairground and mechanical music and is available for functions and tours. This venue and theme combo would be a great talking point for your employees for the entire year! While the previous two themes focused on color and food, this one is all about music - as performed by your employees. Pass around a signup sheet and have your employees write down their song of choice. Rent a karaoke machine, and let the fun begin. If that's not enough, turn it into a competition with solo and group categories, a "remember the lyrics" segment, or even a musical video game segment. After all is sung and danced, make sure to have a DJ or live band to finish off the night in style. Decorations can include cutouts of famous music artists, musical notes, and famous lyrics printed on napkins or tablecloths. The menu can range from light appetisers to a buffet style station to traditional dishes. Musically-themed desserts add a nice touch. 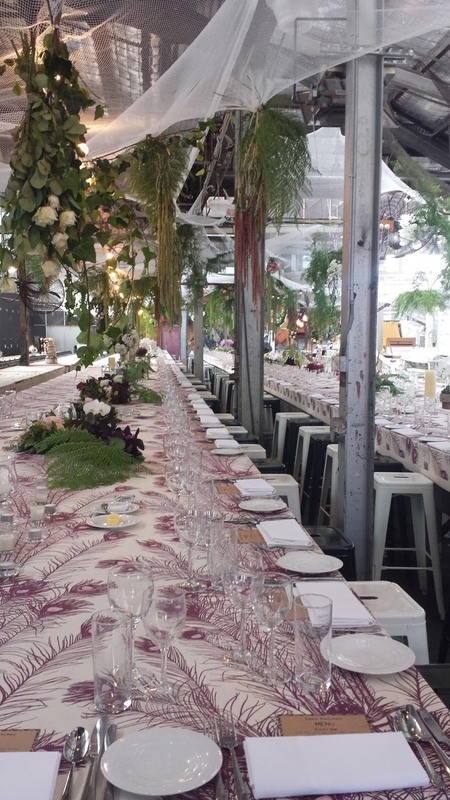 In this guest post, Kim Jones talks about corporate events and how catering can be used to heighten the experience for attendees. Perfectly captured in movies like “Chocolat”, life revolves around food! There is an art to weaving emotions into the preparation of a feast or simple meal. Add to the bowl a mix of weary and hardened corporate hearts! Impressing your guests can be a minefield for the fainthearted especially when you’re trying to make your corporate event memorable and keep guests wanting more. The art of eating is enhanced with timing and creation of concoctions connected to the purpose of the event. Beautifully illustrated in the movie “Babette’s Feast”, it’s unwise to compromise with pedestrian catering! 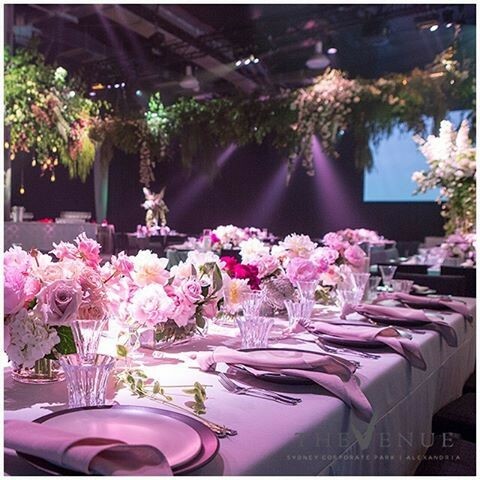 Make your event a visual and sensory experience to remember. remember a moment in time. 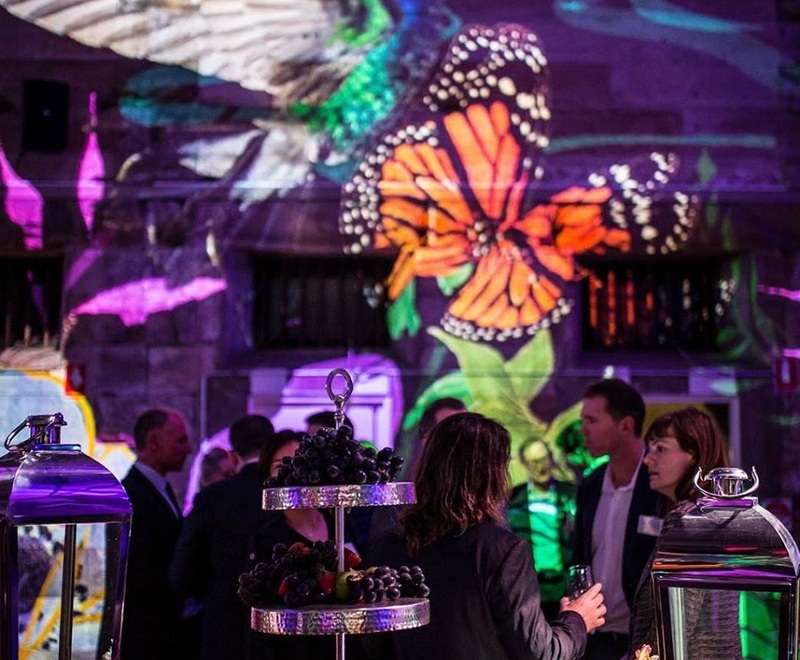 Many stuffy corporate events fail to leave an impression because they didn’t inject the beguiling mix of fanciful and grounded sensory experiences. The idea is to lead your guests to a final point of subliminal dedication and emotional commitment that embodies your company’s vision. What’s The Plan For Your Next Corporate Function? You have been given the go-ahead for a corporate event for a specific reason. Here are a few tips to help you create a successful event. ​Align The Elements: Link the purpose of the event (fun, legal, actions, culture building), the company culture and vision to the look, feel and style of the function. Measurability Factors: Are you expected to meet some expectations by hosting this event? Ask management what outcomes they expect so you can put things in place to measure your success. ​Plan Ahead: Give yourself plenty of time to find the right service providers who can work at your chosen venue. The good ones are already booked months in advance so plan early. Time Management: ​ The length of the event can often dictate the venue. If for example your function is a company update, within business hours, with minimal down time for employees, no alcohol allowed, then you’ll need to course a venue close to headquarters. However if the function is a thank you to valued clients or customers, the function may be longer, a sit down three-course meal, on a weekend so partners can attend, with alcoholic offerings and entertainment. 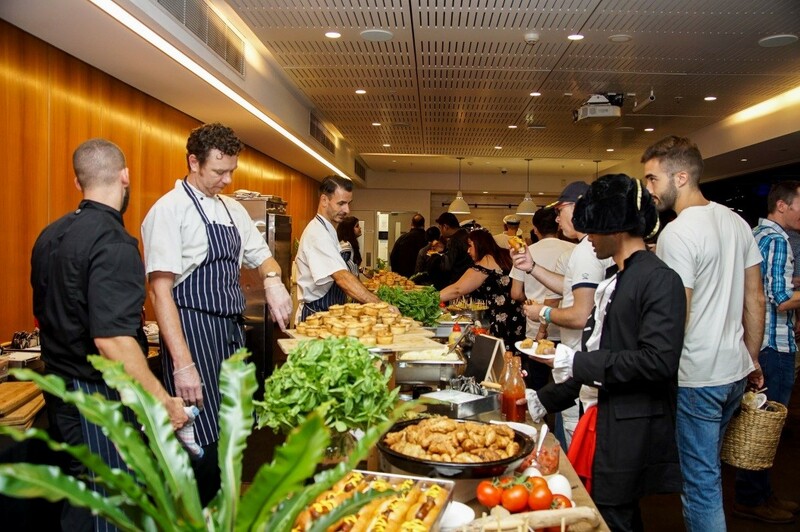 Once you have worked out what the feel and format is for your event, the fun part is aligning your catering to match expectations. Don’t forget that you are bringing different elements to life that that align and complement your company’s purpose. The CEO of our financial services division, in the first year of when he started, wanted a fun event for employees around money. The venue created a gambling room and the food was themed to money. We had chocolate money and food was shaped as roulettes. Everyone was encouraged to dress up with the CEO lead the way, wearing a roulette tutu. The theme, dress code and catering set the fun tone for the night. So get planning and have fun with it! There’s a lot to do and partnering with the right service provider will make the event enjoyable for everyone. Technology is behind the running of businesses across many industries today. 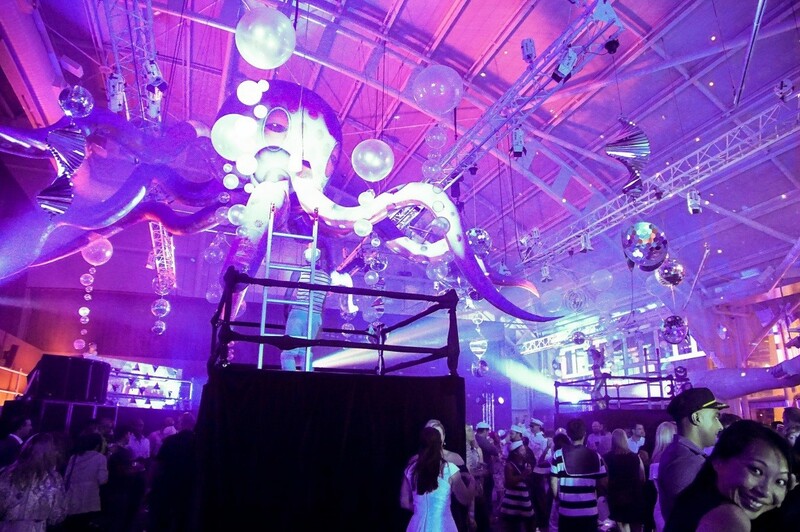 Unfortunately technology is often underused in the events industry. If you’re someone who doesn’t utilise tech so well, this post is for you. Here’s 6 tech trends that will make your next corporate event, meeting or cocktail event instagrammable and worth remembering. Venue hunting was digitised a long time ago. But some more recent apps filter these venues by city, price, capacity and other considerations. You can also find the perfect venue by asking your caterer! Check out some of our eye-catching venues here. If you want to start some social interaction and increase the number of viewers on your site, get a social ambassador. Social media presence equals exposure, brand recognition and advertising. Remember the campaign needs to be before, during and after the event. 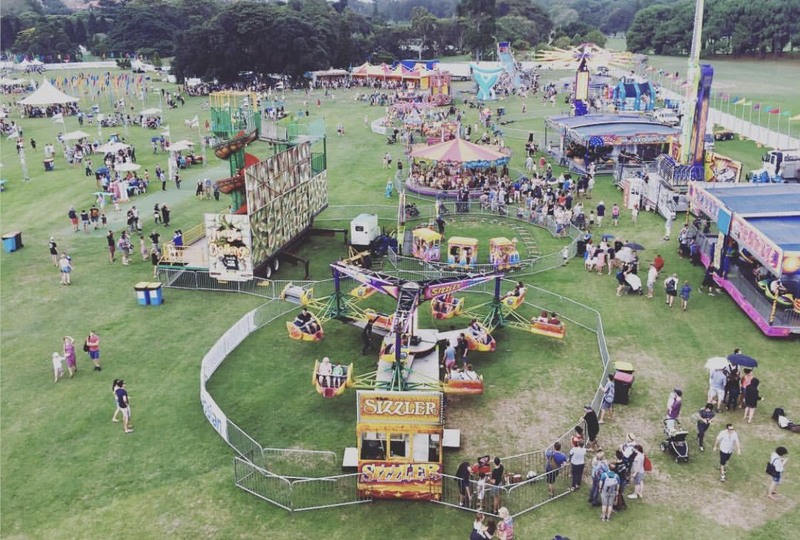 Show the purpose of the event as well as the fun side of it all and don’t forget some behind-the-scenes photos. 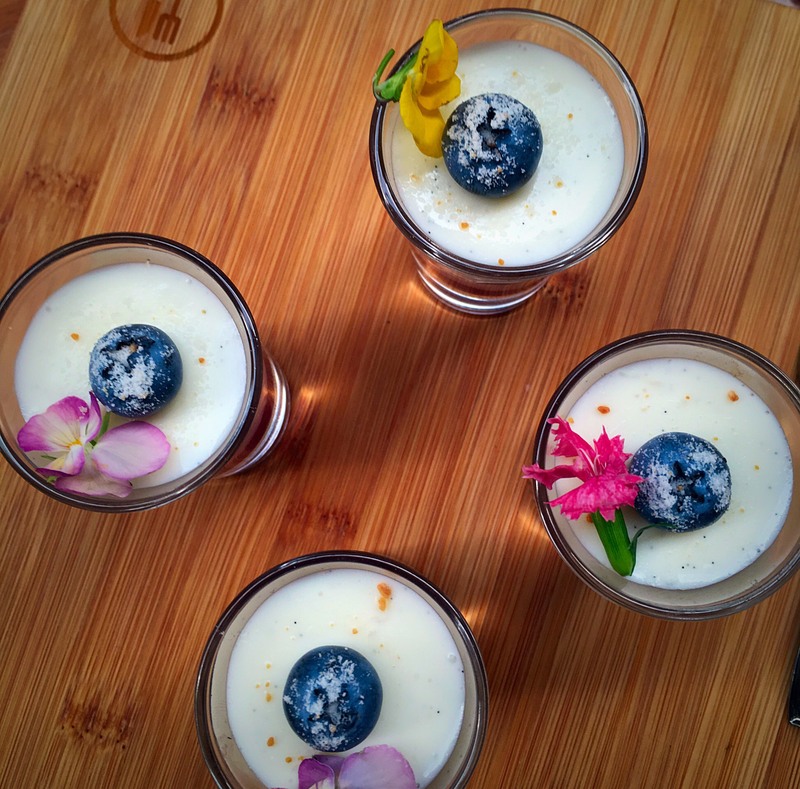 What better way to get people talking about your event than posting mouth-watering food photos? Live streaming is in. Twitter has Periscope while Facebook has their new live video feature. Update your fans and followers with what’s happening as it happens. This would work well for corporate meetings announcing a new product release. Viewers will feel like they are part of the event and it’s a great way to stay relevant in the overcrowded social world. Event planning apps can compliment your own event planning style if used correctly. These apps make it easy to record what you need, when you need it, budget and time management. After the event it can also act as an evaluation of every aspect of your event. Feedback is also made easier with the use of apps. Remember when event organisers used to hand out printed evaluation surveys? Event planning apps make this process convenient and more enjoyable. iBeacon is a new Apple technology (although we’re not here to promote Apple) that is expected to trend this year. In the events industry, this technology is one easy way to connect a roomful of people. One of its major benefit is its networking capabilities. 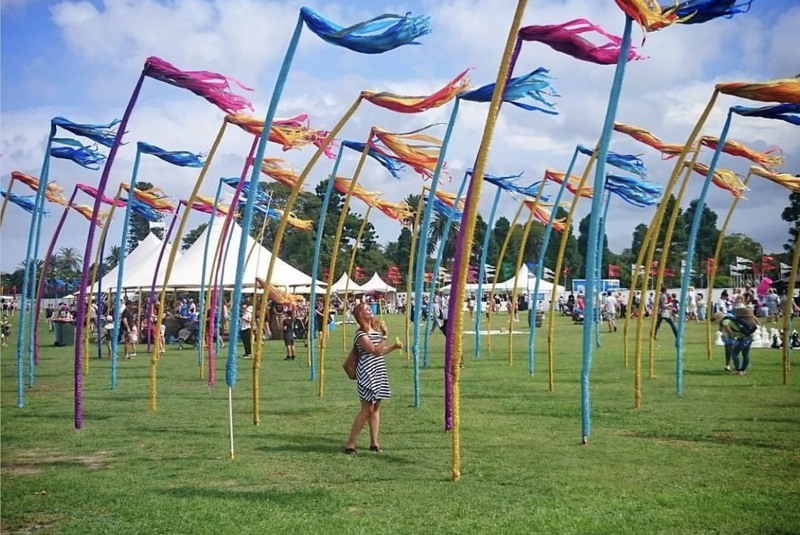 Attendees can easily foster new business connections with other guests. 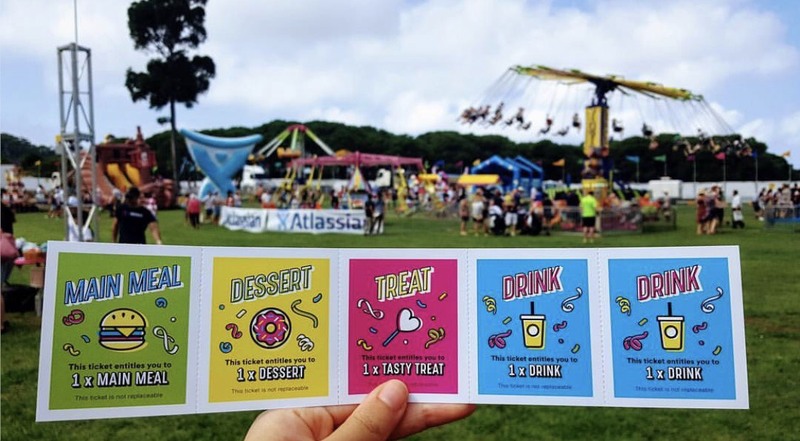 Although guests appreciate a physical souvenir and really awesome gift bags from time to time, a good way to stay up-to-date in event planning and technology is to use digital souvenirs. It’s trendy, new and it frees up some time during planning. You can give out online coupons or set up a discount code which guests can use at your store of choice. This means less clutter, an environmentally friendly gift and less budget spent on party favours. What other tech trends have influenced your event planning? Will you use any of these ideas at your next corporate event? Leave us know! Click on the banner below to view our Conference Menu and keep those weekly meetings interesting! Nothing is worse than a corporate meeting with bland food, a sad venue and a dull atmosphere. You want your employees to enjoy going to monthly and quarterly corporate meetings. Corporate meetings don’t have to be a chore, all you have to do is plan them right. Many large companies today are hiring event planners and other event staff to get the most out of their meetings. Corporate events and meetings have evolved into something that even busy people can appreciate. They should be well planned, trendy and awe-inspiring. So what’s the secret to successful corporate meetings time and time again? It’s as simple as making a plan and hiring the right people! When it comes to the menu, your caterer can suggest hundreds of ideas although your input can help shape the overall event. The menu can vary depending on the time of day, the number of guests or the type of meeting. One great option is a local-inspired menu. You’ll be helping local growers and suppliers while providing some great food for the corporate meeting. Remember, satisfied palates make attentive listeners. By the way, stay tuned for our new Winter Menu being released soon! You can always have a theme for your corporate meetings. These themes aren’t the usual type wherein you’ll ask guests to dress the part. 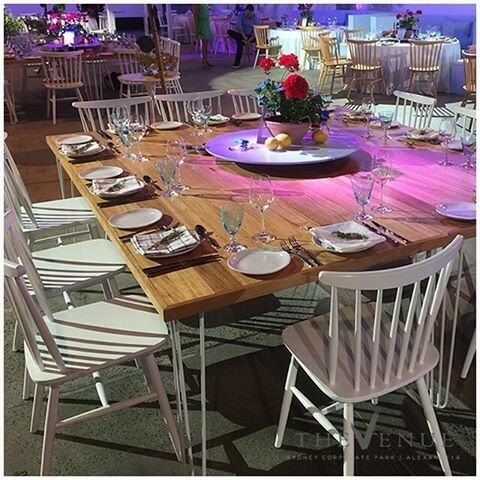 For corporate events, you simply need one central theme or idea to pull all the details together. This could be a cocktail hour, an all-healthy menu or a green and sustainable event. Of course venues can inspire the theme as well. Longer meetings may require more than one meal. Power breaks can really help keep an event or meeting flowing and ensure meeting goers aren’t being given too much information too quickly. You may offer coffees and pick-me-up foods during this time or even simple biscuits, cheese and crackers. Don’t forget to consider dietary requirements. You can’t plan everything without knowing the number of guests and the budget. Also, guest counts are need for your venue. So finalise this first before making the big decisions for the event. And you can even ask your caterer to base the menu on the budget you have. But of course don’t let quality be sacrificed, there are plenty of menus that are budget friendly but still look and taste expensive. Your corporate meeting should always zero down to this - attention to the agenda. You held the meeting for a purpose so you should provide an overall experience that can foster engagement and brainstorming. Use powerpoint slides, live feeds, video conferencing, workshops, event-specific apps and event hashtags to keep everyone interested and participating. These are just a few of our venues! Check out the rest here. Are you ready to take your corporate meetings to a whole new level? Contact the laissez-faire team today to discuss your event. Need some menu inspiration? Click on the banner below to access our Conference menu which has some great options for your next corporate event.